I am officially obsessed with Blush, I want anything and everything in Blush! I was watching Hello Dolly with Barbra Streisand (it’s Alice Jane’s new favorite movie that she has to watch all day everyday) and I noticed her amazing Blush outfit? I couldn’t get over how beautiful it was and how beautiful she looked in it. Seeing her just made me realize how popular that color is right now and how much I’m loving it as well. So I headed right over to Pinterest to see what blush pictures I could find. Above is my Blush Pinterest Roundup. I have a pretty extensive Pinterest board and I’ve decided to start sharing what I’ve been loving recently. I’ll show a recipe I’ve been wanting to try, something for the home, an outfit, accessory, art, a book, a place I want to visit, a person and something for my daughter. For instance this mug is perfection, I seriously can’t get over it. 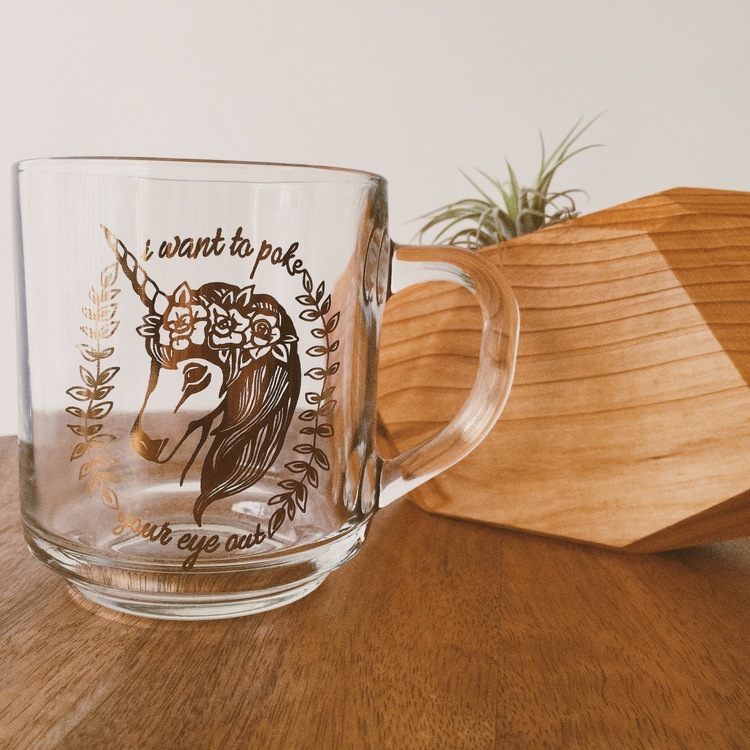 Glass, gold foil and a Unicorn with a floral crown! Is there anything better?! This art work by Boyoun Kim is so great, the colors, composition and shapes are spot on. 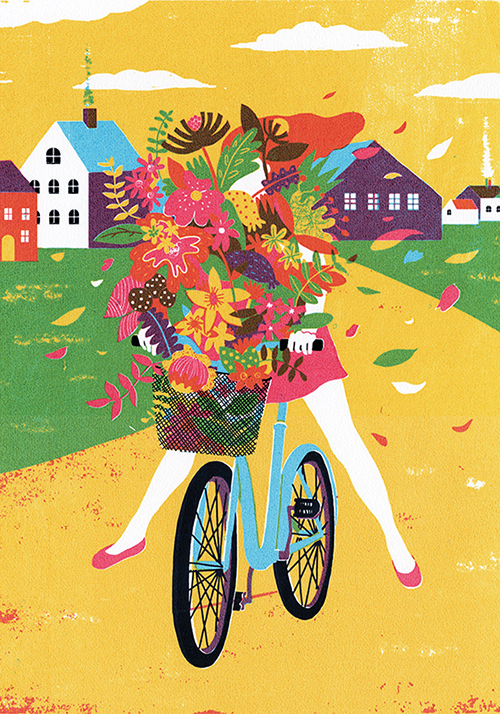 It’s whimsical, clean and bright at the same time which is hard to find. 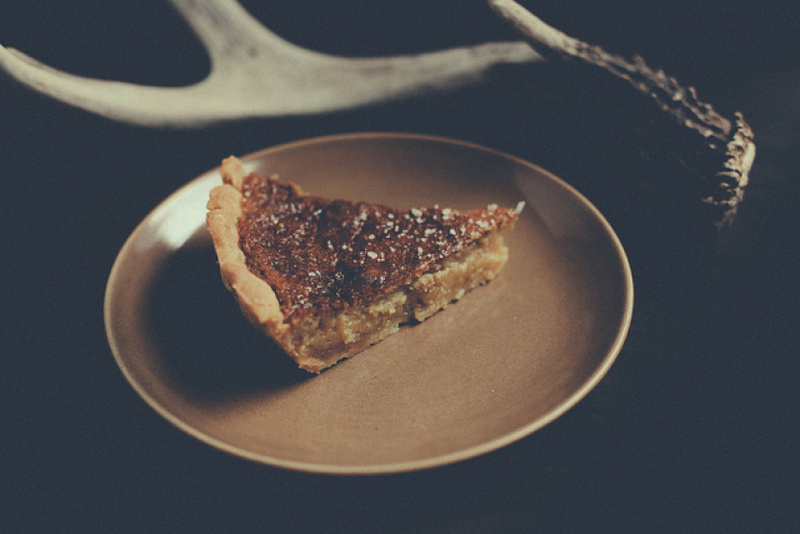 I’ve made a few Honey Pies and Honey Buttermilk pies but I have been dying to make a Salted Lavender Honey pie. Now that I have dried lavender I’m excited to finally make some. 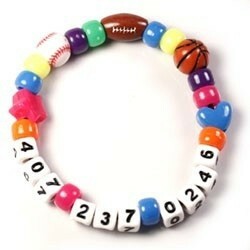 This bracelet will be my diy/child pick. This is such a good idea and I can’t wait to make this with my daughter and let her pick out the beads. This book will definitely be a mommy and me book because I know my daughter will also love it. 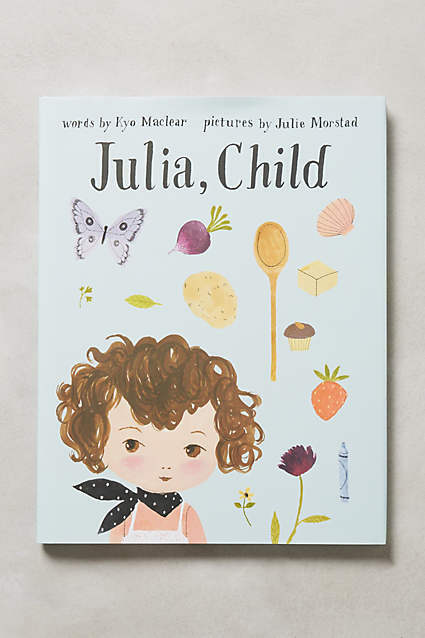 I’m kinda obsessed with Julia Child, I was a weird kid and totally watched her show when I was little. Yes, I watched cooking shows when I was a kid. I liked cartoons too so I wasn’t completely weird. 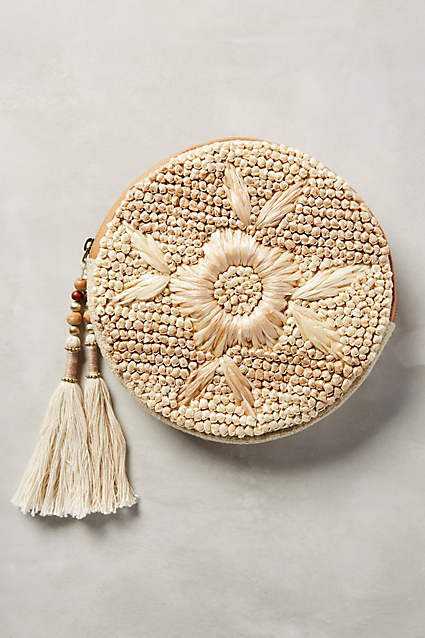 This little purse is perfect—I’m always wanting to carry small bags in the summer. I can’t stand the extra weight of a shoulder bag when it’s 90% to 100% humidity outside in Florida. 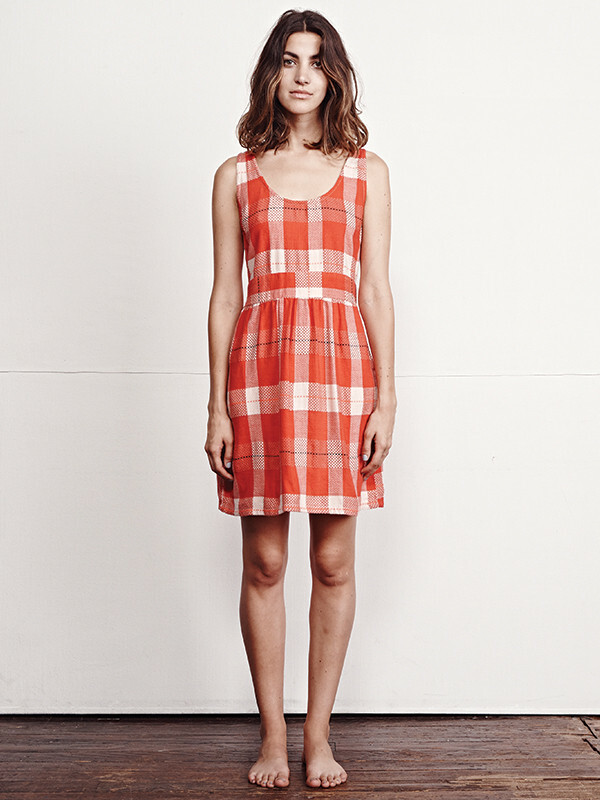 I have been loving Ace&Jig—the color’s, craftsmanship and just over all style is what I love. Everything is so beautiful but comfy, which is what i’m looking for as a mom. I will say it’s a splurge but it would be so worth it. Not only did I watch food shows when I was little, I also preferred the AMC channel to cartoons. When I had the control of the remote (which wasn’t easy being the second child of four), I would usually pick a classic—probably a musical—over cartoons. I don’t love musicals as much now but I still love a good classic. The Sound of Music and Mary Poppins were definitely favorites. After seeing Saving Mr. Banks I have a new found respect for Mary Poppins and can’t wait to read the books (I had no idea there were books). 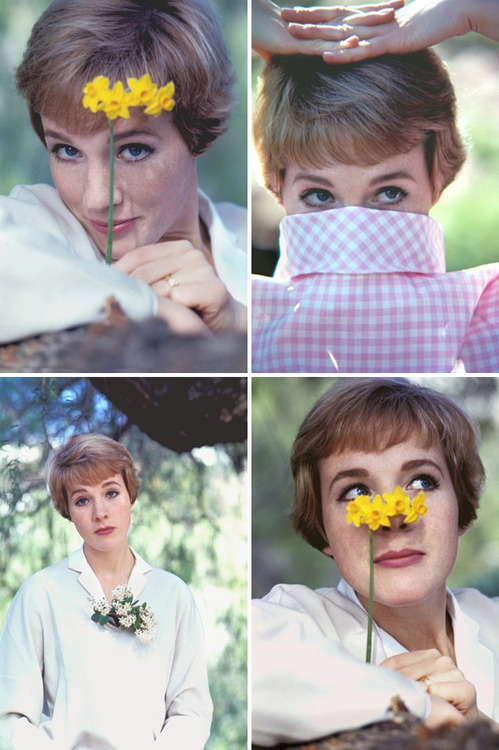 I think it’s safe to say Julie Andrews was one of my absolute favorites—the list has grown as I’ve gotten older and my taste has changed a little but she is still at the top of the list—I mean, look at these pictures! I only have one question, is this place still open?! 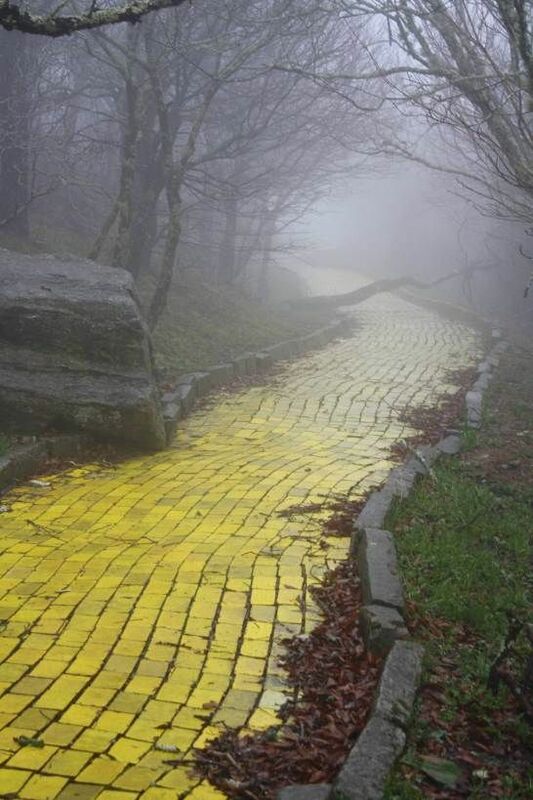 If so, I will be making a pit-stop there this summer on our way to New Jersey. Is there anyplace cooler?! And it’s in North Carolina! Seriously, I die, the website says you can have a party there—I hope it’s not a cruel joke. You can see the rest of it here. I had so much more to share but I’ll save it for next time. Let me know if there’s anything you have been loving and what your Pinterest name is. I’m always looking for new boards to follow. My Pinterest name is Rebekah Dear if you want to see what else I’ve been loving.